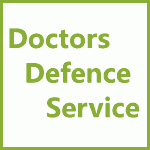 Good Medical Practice – GMC Code of Conduct for Doctors | Doctors Defence Service – UK. The GMC code of conduct is called Good Medical Practice. Also abbreviated to ‘GMP’. View the latest copy here: Good Medical Practice (GMP) – (GMC Publications). For guidance on the application and scope of the Code of Conduct for doctors (Good Medical Practice), call Doctors Defence Service in strict confidence.